A selection of all our World War I related aircraft models. 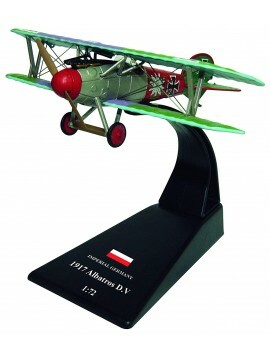 A 1:72 scale model of a 1917 Albatros D.V (Jasta 5) - A fighter aircraft used by the Imperial German Air Service during World War I. 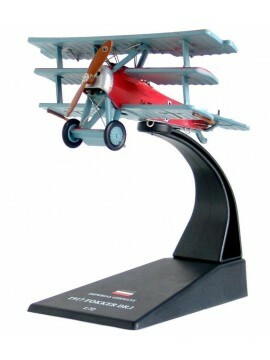 A 1/72 scale model of a Imperial 1917 Germany FOKKER DR. I (Manfred Von Richthofen - DER ROTE BARON) - Often known as the Fokker Triplane - a World War I fighter built by Fokker-Flugzeugwerke. 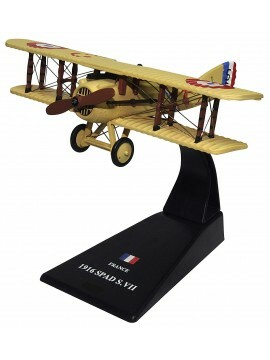 A 1/72 scale model of a French 1918 SPAD S.XIII - A French biplane fighter of the First World War, developed from the earlier and highly successful SPAD S.VII. 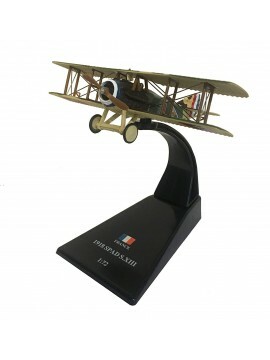 A 1/72 scale model of a French 1916 SPAD S.VII (Georges Guynemer) - The first of a series of highly successful biplane fighter aircraft produced by SPAD during the First World War. A 1/72 scale model of a French 1917 Sopwith 1.B1 (Escadrille SOP.107) Camel - An experimental British bomber aircraft of the First World War. A single-seat, single-engined biplane, built for the Royal Navy, with only two built. 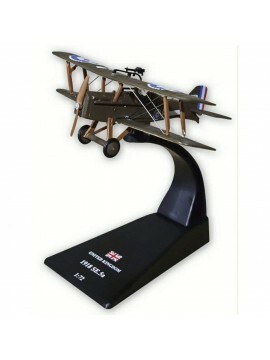 A 1/72 scale model of a British 1918 Royal Aircraft Factory SE5A (74 squadron) - A British biplane fighter of the First world War, which was one of the fastest aircraft of the war - while being both stable and relatively maneuverable.